The power of prayer is one of those things that is very difficult to write about. There is so much that can be said about it. Do we begin retelling the testimony that we have witnessed as a ministry? Do we tell you of wonderful things that the Lord is doing across the world? 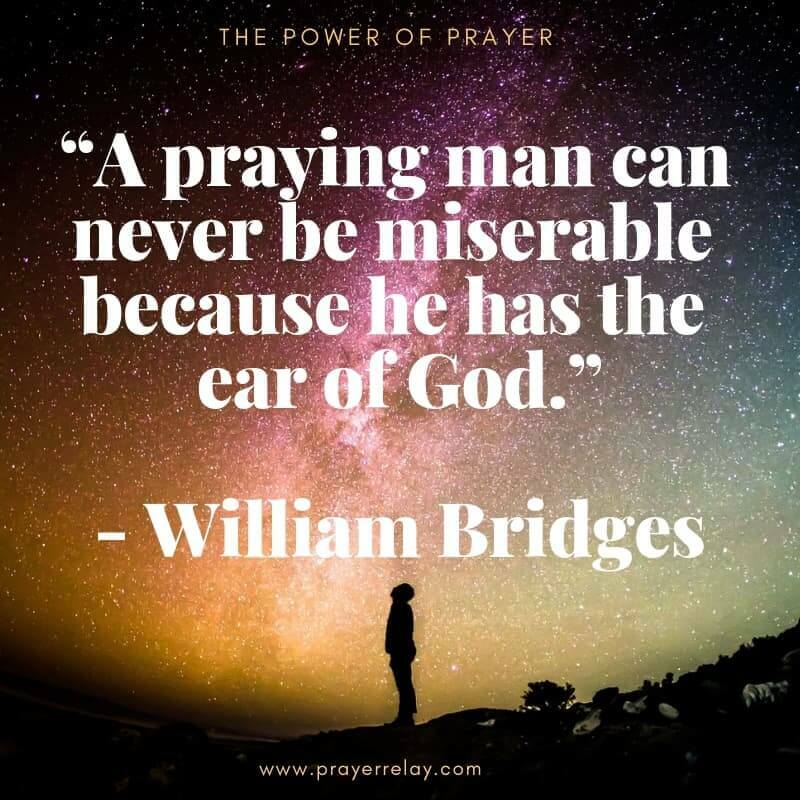 The bible is filled with stories that highlight the incredible power of prayer! There are many more such tales in church history. The same God whose hand was seen then, is still in business today! He is a miracle working God! He has never stopped! Theoretically as well as in reality, the power of prayer is that it calls heavenly intervention on matters that concern you earthly. Prayer facilitates a conversation with God, to tell him what is on our minds. It gives us a path by which to express gratitude to the Lord. We are surrounded by a cloud of witnesses, as Hebrews 11 reminds. 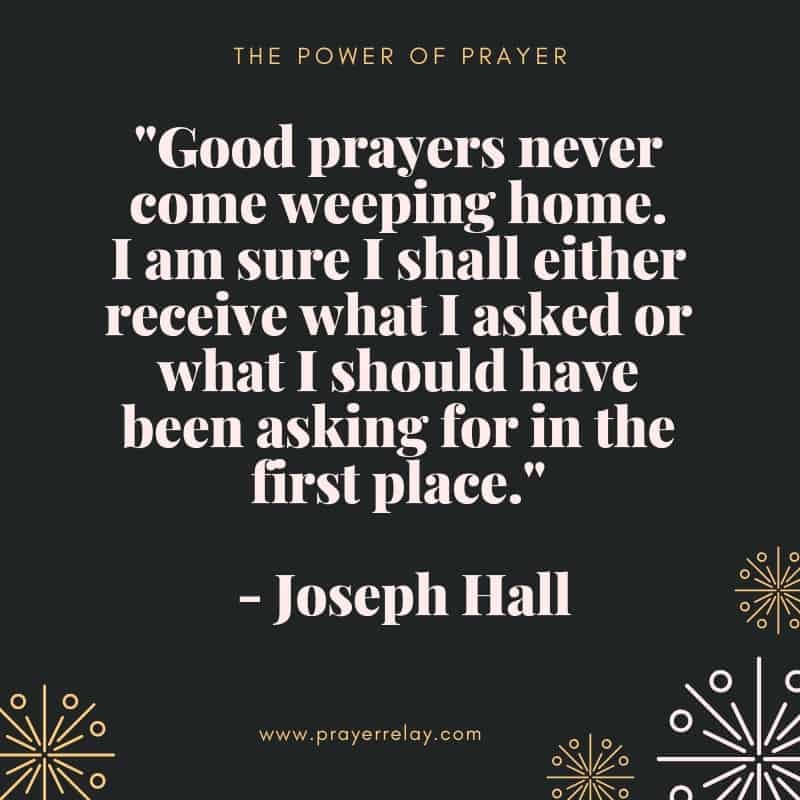 Rees Howells walked in the full might of the power of prayer. The Great Welsh Revivals were a testament to the power of prayer. Church history spanning the last few centuries is filled with testimonies of results that have come from prayer. Although we reside in the physical realm, we are spiritual beings. A lot of what affects us happens in a realm that is not natural to us. It happens in a realm that we cannot see with our natural eyes. Our war is not in flesh. The strongholds and rulers that we battle are not in the physical, but spiritual realm. This is where prayer becomes a tool of battle. We fight in the spiritual realm through prayer. Although our weapons are not carnal, we also know that they are MIGHTY, and that they PULL DOWN STRONGHOLDS. A stronghold is a defensible place; fortress. It is a major centre or area of predominance. [Collins] In this context, a stronghold is something that is stubbornly standing firm against you and yours. Ephesians 6:12 further illustrates this point. We fight against (RULERS, AUTHORITIES, POWERS OF THIS DARK WORLD and SPIRITUAL FORCES OF EVIL). The power of prayer is that it gives us influence in both physical and spiritual realms. Whatever you are fighting against, whatever the foe is, prayer is a weapon! 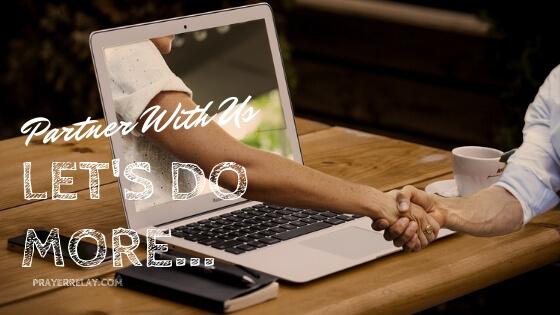 Matthew 18:19 Again I say unto you, That if two of you shall agree on earth as touching anything that they shall ask, it shall be done for them of my Father which is in heaven. We also understand that when we come together in agreement, in prayer, we influence heaven. When we agree on earth, or bind on earth, heaven grants. God encourages us to bring to him things that concern us. He is a caring father, who takes joy in intervening and changing situations in our favour. Scripture tells us that some of our lack is a result of not asking of the Lord. Again we are encouraged to ask, through prayer. To bring our needs to our God who is a provider. According to Hebrews 11, faith is “confidence”. It gives us assurance, that that which we do not yet see, but are hoping (believing God for, praying for) will come to pass. Faith is always the essential component to walking in victory in the Lord. It is what caused Abram to leave his people and all that he had, to go to a promised land, that God had promised. The result of that faith was him becoming the father of what we know to be the Christian faith today. God made him a father of nations, kings descended from him. He had to step out in faith. He had to believe that, what he could not see would come to pass. Hebrews 11 has more and more examples that you can refer to. Moses walked in faith. Samuel walked in faith! The prophet and the apostles of old walked in faith. This is what caused them to turn the world upside down. We know that, without faith, it is impossible to please the Lord! The story behind this is that Peter had been arrested for preaching the gospel. While he was locked up, we don’t know what he was doing. His friends PRAYED. The result of their prayer was that God dispatched an angel to pull him out of that impossible situation. As a result, prayer broke chains by means of the angel that God sent. Prayer brought freedom to a man who lay in prison. Imagine the upliftment of Peter’s friends when they saw the result of their prayers. Faith is then strengthened as we see these results. 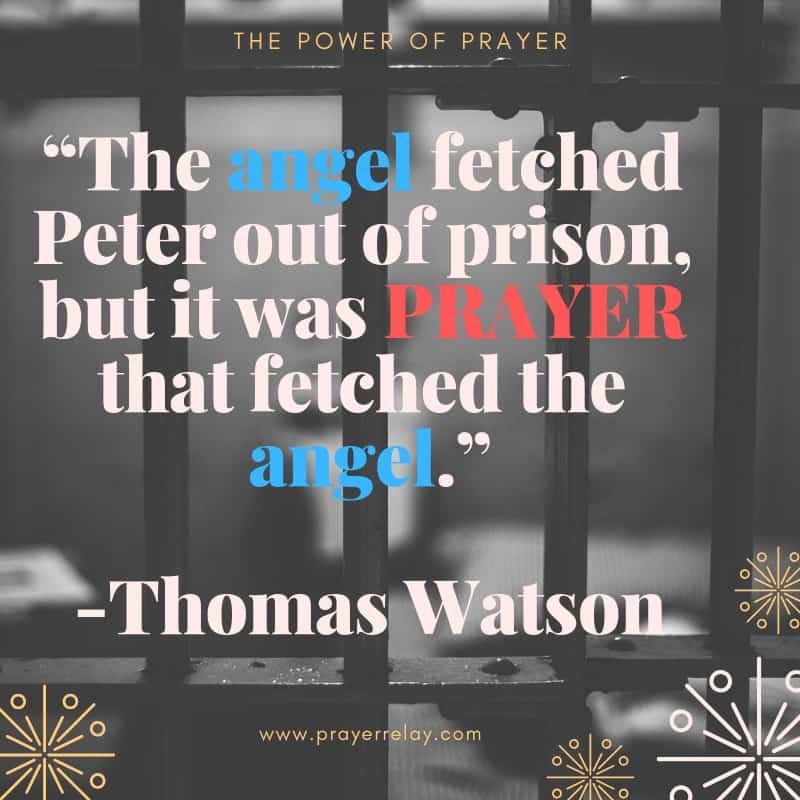 The power of prayer was also evident when the apostle Paul was in prison with Silas. We know that they had been at it again, turning the world upside down for Jesus. They ended up being locked up. As the prayed and sang songs of praise at midnight, there was an earthquake. It shook the prison and opened the doors. Prayer was an evangelical tool in this case as well. The other prisoners, as well as the guards saw the power of prayer firsthand. Prayer has been known to bring healing. We are encouraged to prayer over the sick, anointing them with oil in the name of Jesus. Prayer when paired with faith will bring healing to the sick. Many of God’s generals used this arm of prayer to show the love of God as they shared his word. It is hard to argue about God when the evidence is there for all to see. Chains are not necessary the ones in the physical. Chains refer to anything that hold us back. Prayer is a breaker of chains. Scripture bears testimony to this. Prayer has the power to break chain! 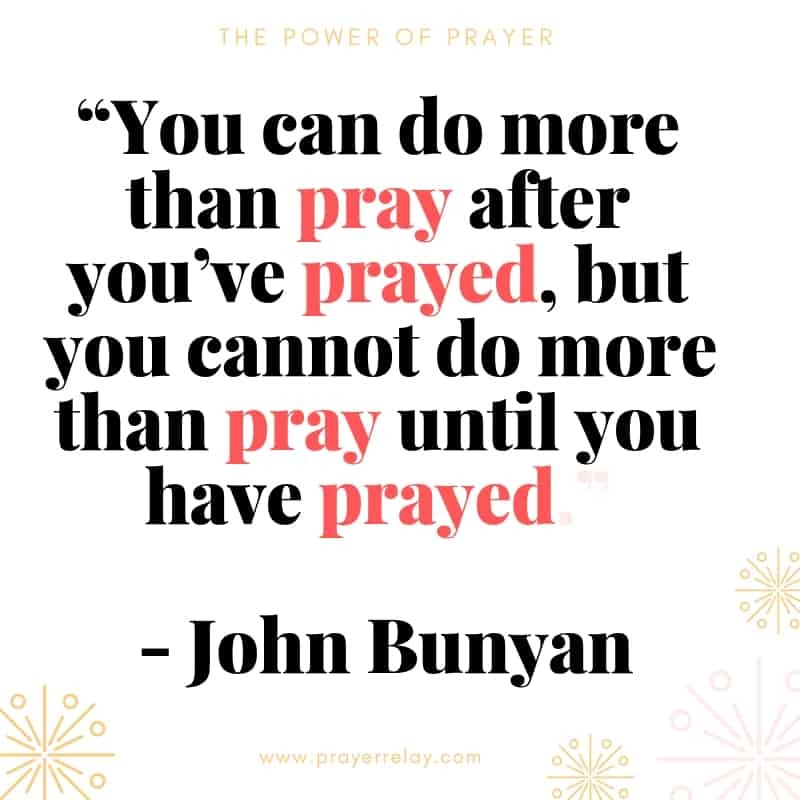 We know that Jesus spent time in prayer. We understand that when faced with the most difficult of time, he turned to prayer. Prayer is a source of comfort. When faced with death, Jesus turned to prayer. Communication with God is a source of comfort and strength. This is what propelled Jesus as he went through the hardest part of his life. Prayer allows us to stretch grace onto the ones that have wronged us. We are forgiven as we forgive. Grace is an amazing gift! Prayer allows us to also give it to others, just as we have received. 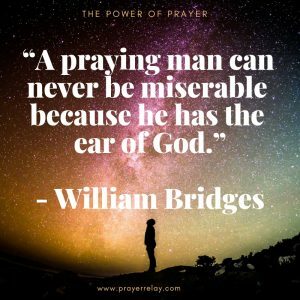 To tap into the power of prayer, we ought to believe in the power of prayer. Beyond that, we also ought to believe in the God that we are praying to, in his ample ability to do things. We also ought to believe in God’s desire to give us what we ask of him. To tap into the power of prayer, we also need to exercise our faith. We are to make prayer the bedrock of everything that we build. This is how we unleash the unimaginable power of prayer. What if his people prayed? What if we all took God at his word and really pressed in? We will undoubtedly see the hand of God!